The face of the Wolf on this Wallet is indeed very handsome. The graphic of the Wolf is embossed in the soft leather. This is a bifold wallet and it has 2 compartments for bills. A zipper in 1 compartment for change. 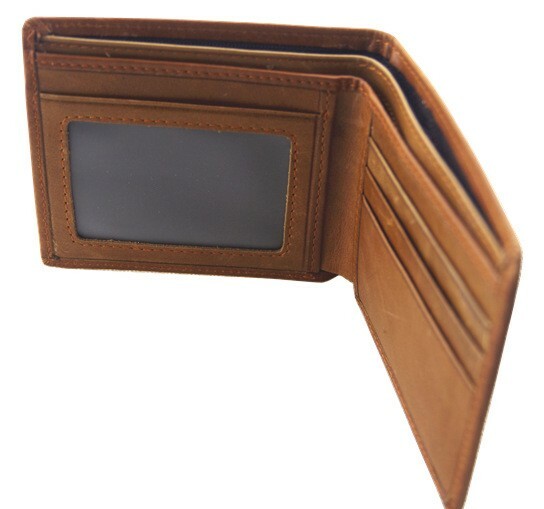 It features 3 credit card slots and a slot for a picture ID or driver's license. This would make a really nice Wolf gift.